It's vital to replace a mountain bike chain regularly, because to work efficiently, a chain should be clean, well lubricated and running in a straight line, but such conditions are rare on a mountain bike, especially one that gets ridden in the UK. On top of this, in our quest for more gears, manufacturers have made chains narrower to fit on more closely spaced sprockets. Given the conditions we ride in and with the amount of gears we cram between our dropouts, it’s not really surprising that chains don’t always last as long as they used to. Keeping a chain clean and well lubricated will increase its lifespan, but even so the inevitable will still happen. Our advice is to catch it before it’s too late, and that means checking the chain for wear and replacing it before it trashes the rest of your drivetrain. The hard part is the timing. Gears will continue to work fine long after the chain has worn and begun to damage everything it touches, which means a chain-wear indicator tool is the only way to determine the state of wear. You’ll need one that will indicate when the chain reaches 0.75 per cent wear. 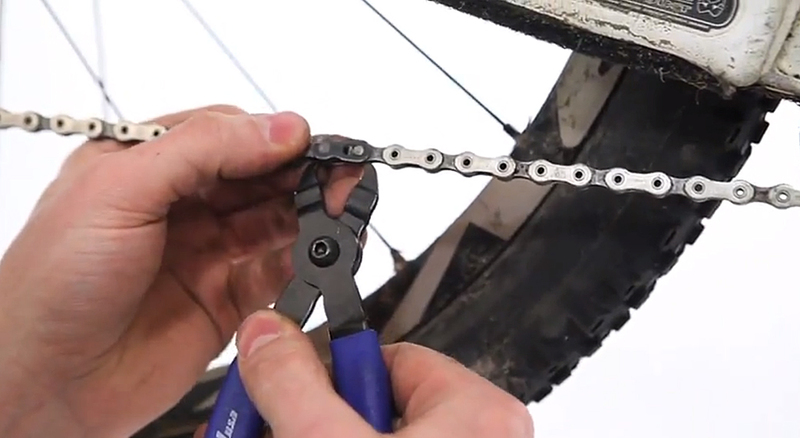 Here we show you how to spot a worn chain and how to replace it properly. If you’ve been lax with your maintenance, then you’ll also need to replace your cassette, so we’ll run you through how to do that, too. For more on this topic, see the May 2013 issue of MBR, out now. For more great how-to videos, check out how to setup and maintain your disc brakes, how to service your headset, and how to clean your mountain bike.